A two vehicle accident occurred Wednesday morning at approximately 9:45 am., five miles east of Columbia on Liberty Road. 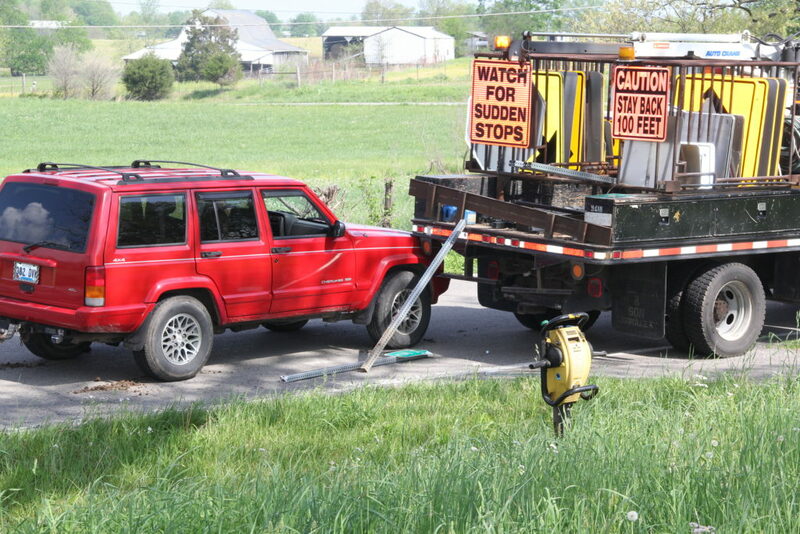 The accident resulted in a Pulaski County state road worker being air lifted to the University of Kentucky Hospital in Lexington. stopped to install a road sign. pinning a state transportation worker between the vehicles. preparing to install his equipment when Watson’s vehicle struck Brainard. Kentucky State Police Trooper Nick Hale.